Mirror Pro is a large product series which consists of several “sub-series”. This guide aims to cover use of all products in the Mirror Pro series, however not all information in this guide is applicable to all devices in Mirror Pro. For information specific to your device navigate to the appropriate section in this guide. Also see sections Status LED, Global Settings, and Global Device attributes as these sections apply to all devices in the Mirror Pro series. All devices in the Mirror Pro line have a status LED. This LED is a visual indicator to the user as to the current status of the device. This is a multi color LED. Which flashes different colors at different intervals to indicate the devices current state. The LED flashes a certain number of times to indicate information. Flashing sequences are separated by 1 second intervals. The LED turns on for 100 milliseconds, off for 100 milliseconds, then on again for another 100 milliseconds if applicable for the specified number of flashes for the current state indication. A flashing green LED indicates the board is functioning properly and is in communication with it’s mating device(s). The number of flashes indicates the wireless signal connection strength with the mating device(s). 5 Flashes indicates perfect connection. 4 Flashes indicates a very good connection. 3 Flashes indicates a decent connection. 2 Flashes indicates a poor connection. 1 Flash indicates a very poor connection. A red flashing LED is an indication that something is wrong. 1 Flash indicates that there is a problem with the Wireless S3B module. 2 Flashes indicates that there is a hardware related problem but the S3B wireless module is OK.
3 Flashes indicates that all hardware is OK, the S3B module appears to be functioning properly but there is no communication with the mating device(s). Global Settings are settings which are applicable to all Mirror Pro series products and thus it would be redundant to cover them in each sub series section. 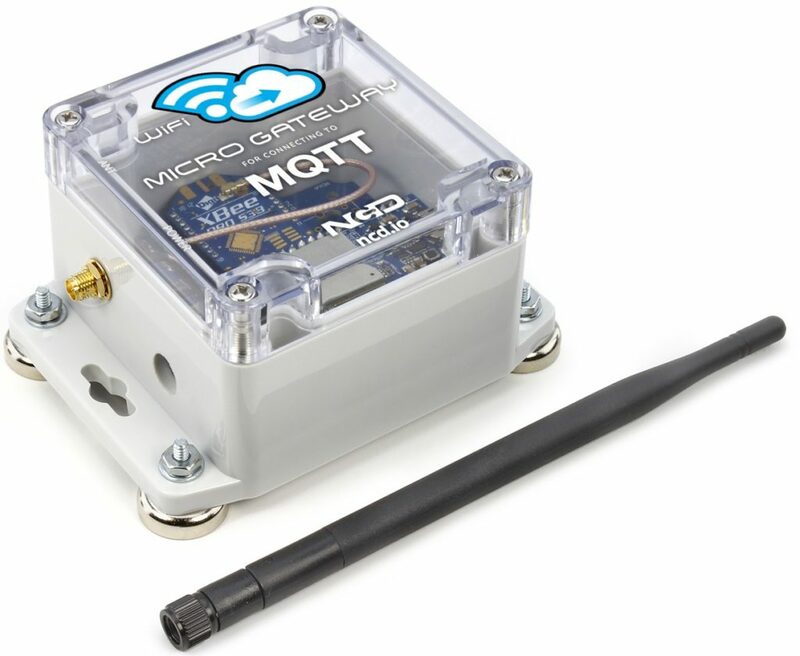 All wireless S3B modules have a unique Serial Address. This serial address is printed on the bottom of all S3B modules. This parameter indicates the remote address(s) this device should communicate with. So this is how devices are actually paired. Using our configuration software you really will never need to set this manually since it reads the addresses out of connected devices and takes care of all pairing for you. This parameter indicates whether or not the audible buzzer on the board should be used to indicate problems. This audible alert can notify users that something is wrong. The buzzer will “chirp” at the same interval as the status LED if there is a problem(Red LED). This parameter indicates the type of device. Each mirror product model has a unique model ID. This attribute indicates what type of device this is. It is most commonly used as an indicator to configuration software but it also indicates to the user what it is. This Attribute is “human readable and self descriptive”. This attribute indicates the S3B address of the module installed in the board. Generally this is used by software for the pairing process but it may also be useful for the user to know in some circumstances. The devices in this category consist of 2 boards. One board has contact closure input(s) and the second board has contact closure output(s). These are very simple devices. If input 1 is closed on the contact closure input board then Relay 1 is closed on the contact closure output receiver board. The same is true if the input on the transmitter board opens and the same is true for remaining channels on the boards. Most boards in this category use relays as the outputs but we may also offer boards with contact outputs for driving external relays/contactors. These devices are programmed to work out of the box with default settings that are applicable to most user applications. We will cover settings uniquely applicable to this series in this section. Default values for the settings will be documented for each setting. Some settings are global to all Mirror Pro series devices and are covered in the Global Mirror Settings section so be sure to reference that section as well. Description: This parameter determines the mode the input transmitter board operates in. If mode is set to 0 the input transmitter board will transmit the current status of its inputs to the receiver on the interval defined in the transmit_interval setting. If mode is set to 1 the board will only transmit when the status of it’s inputs change. This setting is only applicable if the Mode setting is set to 0. This is the interval in milliseconds at which the input board will report the status of it’s inputs to the output receiver board. It is recommended to set this lower than the output board’s timeout setting to prevent “relay flickering” on the receiver. It is also never recommended to set this value lower than 100 as this can cause more communication traffic than the receiver can keep up with. Under normal use this parameter should never need to be changed. This parameter simply specifies the number of inputs on the board. Most Mirror series products use an 8 channel GPIO multiplexer. For this reason direction on the multiplexer Its must be set(input or output). This value will set the first X number of channels on the multiplexer to inputs and the remaining channels to outputs. This parameter determines the mode the output receiver board operates in. If mode is set to 0 all relays will turn off in the event communication is lost with the input transmitter board. If mode is set to 1 all relays will remain in their current state in the event communication is lost with the input transmitter board. Communication loss is determined after no transmissions are received from the input transmitter board after X time. X time is defined in the Timeout setting parameter. This parameter determines the communication loss timeout with the input transmitter board. If this amount of time passes and no transmissions are received from the input transmitter board then the board will react accordingly based on the Mode setting. 2. by sending this ping to the input transmitter board it is possible to maintain a connection strength status via the board’s LED indicator and RSSI readout accessory. 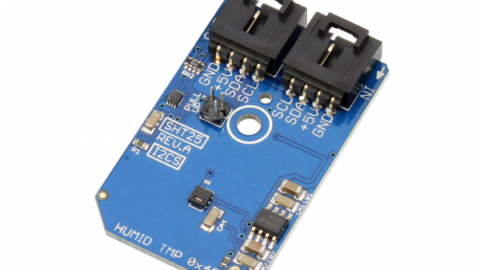 3. this ping also allows the input transmitter board to maintain a connection strength status via the board’s LED indicator and RSSI readout accessory. This value should never be set lower than the input transmitter board’s Transmit Interval setting. This value is also never recommended to be set lower than 500 milliseconds unless the input transmitter board’s Mode parameter is set to 0 and this output receiver board’s Transmitter Mode parameter is set to 0. This parameter simply specifies the number of outputs on the board. Most Mirror series products use an 8 channel GPIO multiplexer. For this reason direction on the multiplexer Its must be set(input or output). This value will set the first X number of channels on the multiplexer to outputs and the remaining channels to inputs. This parameter should always be set to the same as the Mode parameter on the input transmitter mode. It’s applicable for the receiver to know the mode of the transmitter so it can deal with transmission consistency. If the input board only transmits on input change but we want the output board to turn off all relays if the input board goes down then it only makes sense to have the output board ping the transmitter board periodically so it can both verify it is still functioning and so it can maintain a connection strength status indicated to the user via on board status LED or RSSI Indicator Accessory. This parameter indicates whether or not the output receiver should respond to transmissions from the input transmitter with the status of it’s outputs. Setting this parameter to 0 will return the status of the outputs to the input transmitter. Setting this parameter to 1 will not return the status of the outputs to the input transmitter. Most input transmitter’s have on board LEDs to indicate the status of remote relays. These status LEDs are set using the return status from the relay board. It is only recommended to set this parameter to 1 if extremely fast communication is required between the boards and visual indication of the remote relays is not required on the input transmitter. The devices in this category consist of 2 boards(Board A and Board B). Each board as contact closure input(s) and contact closure output(s)(Relays). These are very simple devices. If input 1 is closed on Board A then Relay 1 is closed on Board B, if input 1 is closed on board B then Relay 1 is closed on Board A. The same is true if the input on Board A opens and the same is true for remaining channels on the boards. Most boards in this category use relays as the outputs but we may also offer boards with contact outputs for driving external relays/contactors. Since these boards have inputs and outputs they both transmit and receive data with their mating device. Therefor we will reference these individual boards in the set as Transceivers in this documentation. Description: This parameter determines the mode the transceiver operates in relation to it’s outputs. If mode is set to 0 all relays will turn off in the event communication is lost with its mating transceiver. If mode is set to 1 all relays will remain in their current state in the event communication is lost with its mating transceiver. Communication loss is determined after no transmissions are received from the mating transceiver after X time. X time is defined in the Timeout setting parameter. This parameter determines the communication loss timeout with the mating transceiver. If this amount of time passes and no transmissions are received from the mating transceiver then the board will react accordingly based on the Mode setting. 2. By sending this ping to the mating transceiver it is possible to maintain a connection strength status via the board’s LED indicator and RSSI readout accessory. 3. This ping also allows the mating transceiver to maintain a connection strength status via the board’s LED indicator and RSSI readout accessory. This value should never be set lower than the mating transceiver’s Transmit Interval setting. This value is also never recommended to be set lower than 500 milliseconds unless the mating transceiver’s Transmit Mode parameter is set to 0 and this transceiver’s Mate Mode parameter is set to 0. Description: This parameter determines the mode the transceiver board operates in relation to it’s inputs. If mode is set to 0 the transceiver will transmit the current status of its inputs to the mating transceiver on the interval defined in the Transmit Interval setting. This setting is only applicable if the Transmit Mode setting is set to 0. This is the interval in milliseconds at which the transceiver will report the status of it’s inputs to it’s mating transceiver. It is recommended to set this lower than the mating transceiver’s timeout setting to prevent “relay flickering” on the receiver. This parameter simply specifies the number of inputs on the transceiver. Most Mirror series products use an 8 channel GPIO multiplexer. For this reason direction on the multiplexer Its must be set(input or output). This value will set the last X number of channels on the multiplexer to inputs and the remaining channels to outputs. This parameter should always be set to the same as the Transmit Mode parameter on the mating transceiver. It’s applicable for the transceiver to know the mode of the mating transceiver so it can deal with transmission consistency. If the mating transceiver only transmits on input change but we want this transceiver to turn off all relays if the mating transceiver goes down then it only makes sense to have this transceiver ping the mating transceiver periodically so it can both verify it is still functioning and so it can maintain a connection strength status indicated to the user via on board status LED or RSSI Indicator Accessory. This parameter indicates whether or not the transceiver should respond to transmissions from its mating transceiver with the status of it’s outputs. Setting this parameter to 0 will return the status of the outputs to the mating transceiver. Setting this parameter to 1 will not return the status of the outputs to the mating transceiver. Some transceivers have on board LEDs to indicate the status of relays on a mating transceiver. These status LEDs are set using the return status from the mating transceiver. It is only recommended to set this parameter to 0 if the mating transceiver has remote relay status indication LEDs. NodeJS base CLI for configuring S3B Wireless modules on the fly, comes preloaded with profiles for both the Wireless Sensors and the Modem.